Another summer vacation has come and almost gone, with a new school year beginning next Tuesday, September 3rd. 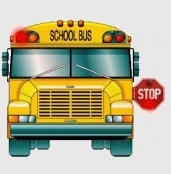 The Municipality of Tweed would like to remind motorists to do their part in keeping our children safe near school buses. Motorists travelling in both directions are required to stop when approaching a stopped bus with its upper red lights flashing. A flashing stop arm will swing out while passengers are boarding or leaving the bus. The only exception to this rule is if you are travelling on a highway separated by a median. In that situation traffic coming from the other direction is not required to stop. When the lights are flashing red the Ministry of Transportation recommends staying 20 meters back, or in front, of the school bus. Failure to stop can result in a $2,000 fine and six demerit points. Each subsequent offence can carry a penalty of $4,000, six demerit points, and possible jail time for up to six months. When children are exiting the bus they should walk at least 10 steps in front of the bus along the side of the road and look at the driver for a signal before crossing the road. Be sure your children look both ways before crossing the road, and ensure they are walking, never running. Using extra caution in school zones throughout the year is always important, but especially in September, as students and motorists adjust to being back in a safety routine. Motorists should always stop for pedestrians at crosswalks and school crossings. Parents should also remind their children how to be safe when they are on, or near, school buses.